My friend Zig Ziglar used to tell a story about how Belgian horses are trained to work together—and how it made these incredible animals so much more effective. Belgian horses are huge, powerful animals. In fact, one Belgian can pull more than 8,000 pounds. That’s one strong horse! The weird thing, though, is that if you put two Belgian horses together who are strangers, they don’t just double the amount they can pull to 16,000 pounds; they actually triple it to 24,000 pounds. And if you spend some time training them to work together, that unified pair can pull a whopping 32,000 pounds. That’s four times what a single horse can do alone! That story reminds me that connections are powerful—and not just for Belgian horses. People need healthy relationships to win at life, too. Motivational speaker Charlie “Tremendous” Jones used to say that five years from now, you’ll be the same person you are today except for the books you read and the people you meet. In other words, we need the accountability and support that come when others invest in our lives. Centuries ago, King Solomon explained it this way: “As iron sharpens iron, so one person sharpens another” (Proverbs 27:17). Over the years, I’ve used three important lenses to help me keep a proper perspective. The first is the Ownership lens, which reminds me that God owns it all. I’m just a manager of His stuff for His glory. The second is the Magnification lens, which reminds me that wealth always makes me more of what I am. If I’m a jerk, wealth will make me more of a jerk. If I’m generous, wealth will make me more generous. Now, the third filter is the Community lens, and that’s where relationships really make a difference. I’ve heard leadership and relationship coaches say that everyone needs a teacher, a student and a friend. As Christians, we might tweak it just a little bit to say that everyone needs a Paul, a Timothy and a Barnabas. Your “Paul” is the mentor who pours his life and wisdom into your life, while your “Timothy” receives the same blessing from you. Each of these are pretty easy for me. I love to sit at the feet of people who are further along the journey than I am, and I’ve had some incredible mentors through the years. And I’m a natural teacher, so pouring my life into someone else really energizes me. But one of the best decisions I’ve ever made is to surround myself with an incredible group of “Barnabas” friends. Every Wednesday morning for the past 14 years, unless I’m out of town, I sit at a conference room table at 7 a.m. with 12 of my closest friends. We call it our “Eagles Group” and spend about 90 minutes investing in one another. We talk about our struggles together. We study Scripture together. We read books together. Basically, we’ve done life together for more than a decade. I’ll be honest. I get a lot of criticism and crazy hate mail, but most of it doesn’t faze me a bit. Those people really don’t know anything about me! But if a member of my Eagles Group calls me out on something, I take it very seriously. Their words carry almost as much weight as my wife’s words. Why? Because they’ve invested in me, and they’ve earned the right to speak into my life. God works through each of the relationships in our lives. He uses a Paul to guide us. He uses a Timothy to help us mature. And He uses a Barnabas to challenge us. In response, we should always be learning, teaching and loving. We should be iron sharpening iron. Interested in learning more? 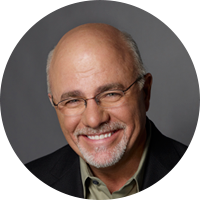 Dave Ramsey’s new book The Legacy Journey provides a biblical framework for how to live now so that you can leave a personal and family legacy and impact the kingdom of God like never before.